Bonet Auto Service provides excellent service and offers outstanding value to our clients. Bring you car in today for a free inspection and see what Bonet Auto Service is all about! Bonet Auto Service is independently owned and locally operated! Oil change, lube and filter. Electrical systems service and repair. I would absolutely recommend " Bonet Auto" to anyone and everyone. I have been bringing my car here for years, and have always been treated fairly, honestly and with great respect. I have an older model vehicle and" Bonet Auto" has always kept it in the best condition. Jorge has always been honest, quick and reasonably priced. I always go to him for all my auto needs and recommend him to everyone I know! I wouldn't go anywhere else. Credibility based upon competency and character is what keeps a customer coming back to any kind of business for its service and/or product. Bonet's Auto Service has provided for me and my family both of these combined virtues. I am an appreciative customer because of Bonet's commitment to excellence and conscientious equitable pricing. Loyal, honest, dependable and like family. Always finds time to keep our cars running. Highly recommend his services. I'm very please with everything that you have done to each one of our cars and the ones that I have recommended. Truly a very professional technician. I have been a customer of Bonet Auto for over eight years. He has always been attentive, dedicated and knowledgeable in dealing with my cars. He is always my first choice when it comes to automobile repairs or any mechanical issues in my vehicles. I strongly recommend him for he is responsible, precise and fast when it comes to service. We have 3 vehicles in our household , 2 Japanese made and the other American made. 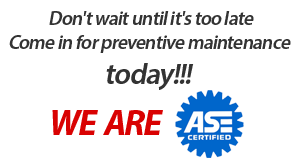 We have been getting our vehicles serviced by Bonet auto service for years now. Mainly because the quality of the repair and preventative maintenance is second to none. Their fees are fair and they always stand behind their service. We have referred a number of friends to them because of the trust we have in Jorge and our friends referred their friends. If you want professional, courteous service then, look no further than Bonet Auto Service. Jorge is a detail oriented mechanic. He did a terrific job on my car that needed body work. He worked with me to keep the cost down without sacrificing quality. I'm so glad that I used him because he was honest and backed his word. Thanks Jorge, for making my car look beautiful again! Jorge bonet is a great mechanic. H is been working on my cars for about 5 years. I will recommend 100%. Copyright 2018 Bonet Auto Service - All rights reserved.